Gamification in education is a pedagogical approach in which elements of games are incorporated into teaching sessions and/or online delivery, with the aim of increasing student engagement. This could be achieved by introducing a competitive element (through, for example, the use of teams), by incorporating the idea that students can ‘level up’ by achieving certain milestones or aims, or by including elements of video games. 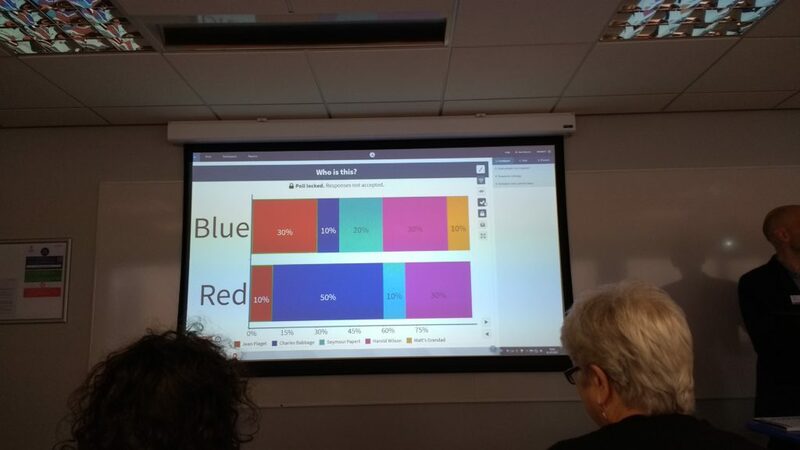 One way to start incorporating gamification into your teaching sessions could be to use the ‘segment responses’ option in Poll Everywhere, the student response system used at Sussex. This option allows you to pose an initial question to your students, for example ‘Which team are you in?’. Answering this question then assigns students to a certain team, so students who answered A will be assigned to Team A while students who answered B will be assigned to Team B. Poll Everywhere then tracks the responses to the questions that follow, grouping the different teams’ responses and displaying charts of the answers, introducing a competitive element between the teams which can encourage students to engage with the activity and respond to each question. Poll Everywhere have made a useful step-by-step video which takes you through the process of setting up your polls, gathering responses and generating reports. In addition to this approach, segmented response could also be used to track answers by certain demographics. For example if you teach a module in which the cohort is made up of students from a variety of different degree programmes you could choose to track students’ responses based on this categorisation. Alternatively you could choose to gather data which tracks the responses of certain age groups, nationalities or a variety of other demographic indicators. Kahoot – this tool is a web-based classroom response system which allows you to create quizzes for your students. Questions are timed so the quicker you respond the more points you receive! A leaderboard which is displayed after each question adds to this competitive element. Socrative Space Race – Socrative is an alternative student response system which enables you to engage students with activities and questions. Socrative’s Space Race lets you divide students into teams of various sizes, these teams then compete questions and race to cross the finish line first. Convert your Turning Point slides to Poll Everywhere polls – it is now possible to quickly and easily convert Turning Point (clickers) questions to Poll Everywhere polls within PowerPoint; great if you are making the transition from Turning Point clickers and ResponseWare to Poll Everywhere, as you won’t have to start from scratch. Sussex University staff who would like to do this can email tel@sussex.ac.uk for a step-by-step guide which also shows you how to convert standard PowerPoint slides into polls. You may need to update your Poll Everywhere PowerPoint add-in which can be updated from the Software Centre on Sussex staff computers. Import multiple polls via CSV – this method is really useful if you have a large number of polls to create. Simply download Poll Everywhere’s CSV template and then fill in the template with your questions. Upload your file using the Import button and Poll Everywhere will create your polls in seconds. Learn more about the Import button here. Create poll templates – there are so many different options and settings when creating your polls that it can sometimes take a while to work through these, you can now speed up this process by creating poll templates within your account. Learn more about templates here. New response charts – you can now enable additional response chart displays and animations which can make your polls more responsive. This setting is currently in beta so could change in the future, you can enable this option by going to Settings, then Labs and clicking Enabled next to the New response charts option. Create emoji quizzes – you can now incorporate the use of emojis in both your questions and in students’ responses. This feature would be great to use for example in ice breaker questions. Learn more about emoji quizzes here. The University of Sussex has an institutional licence for Poll Everywhere which means that all Sussex staff can make use of the premium features of Poll Everywhere. Please email tel@sussex.ac.uk to request an account. We are running an Introduction to Poll Everywhere workshop for Sussex staff on Thursday 9th March 11:00-12:00 which aims to get new users started with in-class polling and quizzing. Book a place now! If you have any questions about using Poll Everywhere or want to discuss other ways of incorporating gamification into your teaching get in contact with us by emailing tel@sussex.ac.uk. 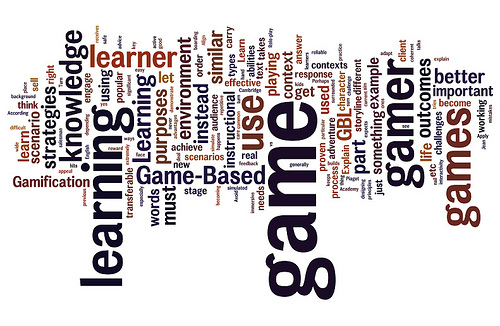 2 Pings/Trackbacks for "Gamification using Poll Everywhere’s Segmented Responses"